Maurizio Sarri has come under intense scrutiny over the past few days, but the stats suggest that his system is working – just our forwards aren’t! It is hardly a surprise that being defeated 4-0 by Bournemouth has led to questions being asked of our manager’s competence. It was utterly awful, and it’s not the first time this season that we’ve capitulated in that manner. Ultimately, the buck stops with Sarri. Chelsea fans have called for alterations to his system and style, like moving N’Golo Kante deep or being more direct with our play. Sarri has made it clear that he’s not interested. He has full faith in his methods and his ability to make the system work at Chelsea. He’s on the right track, too. The system is working, as the stats confirm for us. The only problem that Chelsea are having is putting the ball in the back of the opposition’s net. Following the arrival of Gonzalo Higuain, you’d hope that will no longer be an issue. Chelsea are dominating possession, being productive with it in terms of creating chances, but falling at the final hurdle. 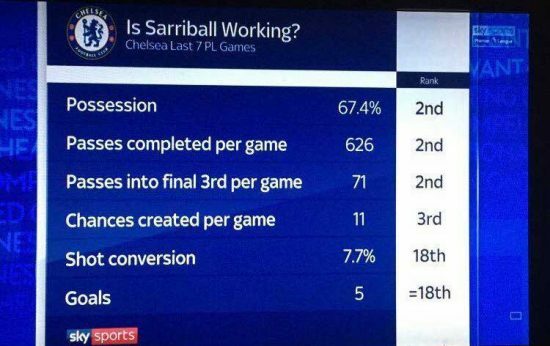 As frustrating as it is, that’s not something that Sarri can change. 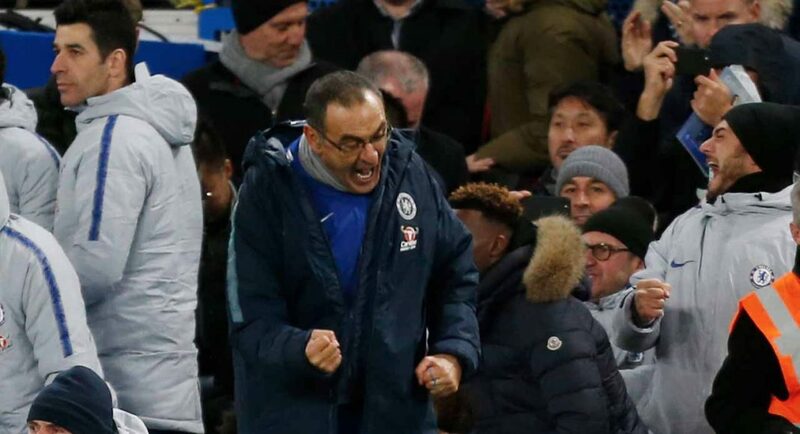 The players need to learn to be more clinical, before they cost Sarri his job.